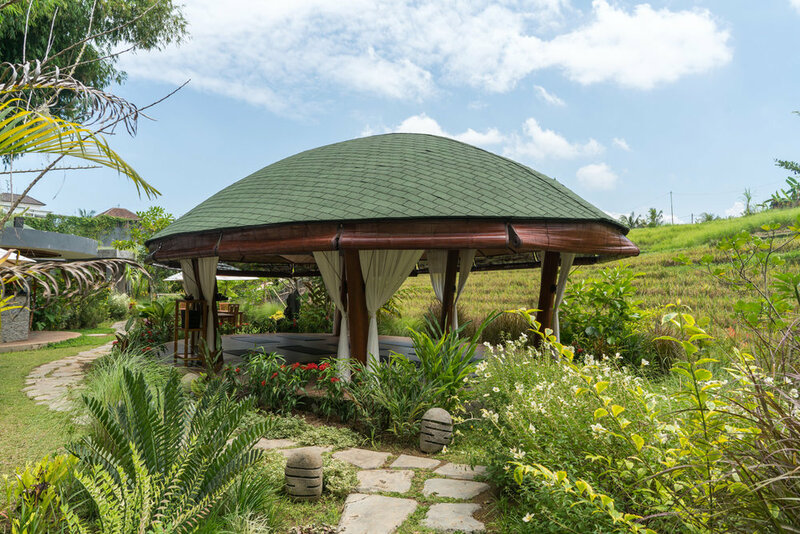 In our open-aired, leaf-shaped yoga shala, flanked by rice fields and forest, we offer morning and afternoon classes as well as private lessons to suit your needs and schedule. Other times available. Please speak to reception to arrange. Group classes and Private Yoga & Meditation lessons are also available on request. Cancellation policy: If you book but cannot attend, please inform reception or call/text/whatsapp +62 81 233 274 254 at least 2 hours before the class, otherwise full payment is still required. *Price is inclusive of government tax and service charge (currently 21%). Discount available for Indonesians & guests. Inclusions: use of yoga mats & props; WC & shower; towels and infused drinking water. You are welcome to use our pool, bring your swimming gear for a refreshing dip after practice! Feel free to nourish yourself in our Garden Restaurant. Cancellation policy: if you book but then cannot attend, please inform reception or call/text/whatsapp +62 819 550 8999 at least 2 hours before the class, otherwise full payment is still required. Morning Flow - an invigorating sequence to awaken the body & mind. Flow Yoga - a mindful flow, synchronising movements with breath. Community class - happy hour yoga - half price class! Beginners Yoga - basic hatha yoga for those new to their yoga journey. Creative Flow - dynamic, flowing sequences to strengthen and tone the body. Hatha Yoga - traditional style of yoga poses, focusing on alignment & breath. Chakra Yoga - dynamic yoga to balance and reset the chakras. Rejuvenating Yoga - calming class to relax and prepare the body for the week ahead. Besides Beginners Yoga, classes are suitable for all levels. Variations are given for students at different levels. 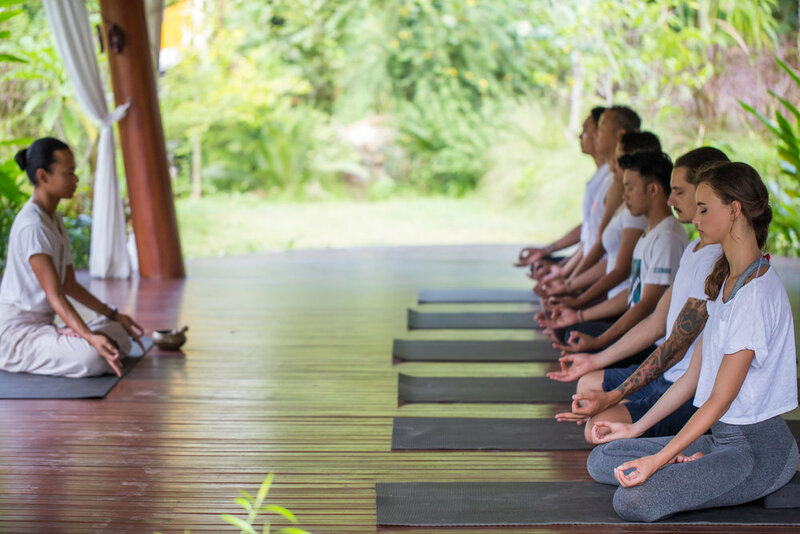 Contact reception or call, sms, whatsapp +62 81 233 274 254, or email yoga@villamoksha.com.